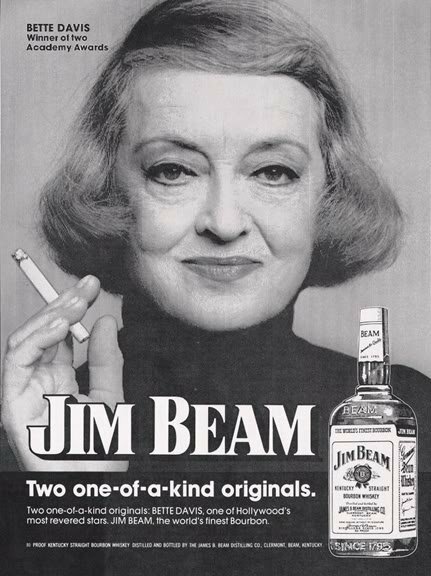 Bette Davis like Jim Beam, in this ad from 1974. Previous Previous post: Mickey Rourke by Helmut Newton. Next Next post: Buster Keaton on set of Sunset Blvd.